A €1,000 grant for grandparents who provide free childcare for their grandchildren could be extended to other family members who mind children while their parents are working. 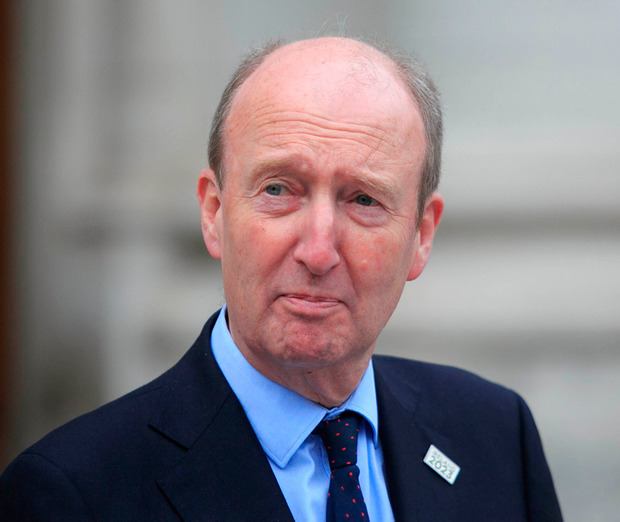 Transport Minister Shane Ross yesterday doubled down on his Budget demand by insisting the controversial payment could be extended to aunts, uncles, sisters and brothers who provide free childcare. Despite growing criticism of his proposal, Mr Ross also said the payment would be available to a child's four grandparents if they all provided more than 10 hours of childcare a week for the same grandchild. This means the State could potentially pay €4,000 per child under a scheme the Independent Alliance has insisted should be included in the Budget. "We will start by looking at how it worked with grandparents and if there was a demand or a justification of extending it to other people that would be absolutely fair enough," Mr Ross said. During an interview on RTE, the minister also revealed that the "grandparent and grandchild reimbursement scheme" would not be policed or inspected as he believes it will not be abused. Mr Ross said grandparents would also not be required to make vouched expense claims as it would be "pretty complicated" and involve an "awful lot of administration and paperwork". However, the proposal is expected to face resistance from Finance Minister Paschal Donohoe, who said there were "really big questions" surrounding how the payment would work. "If you think of all the other members of family, and friends, who also perform duties looking after young children and do so on a voluntary basis, I think they would be asking me in particular, what about them?," Mr Donohoe said. However, he said he would examine the proposal with Children's Minister Katherine Zappone. She has previously said she is opposed to a grandparent grant. Within Fine Gael, ministers were privately critical of the proposal. One minister described it as a "load of s***e", while another said the Independent Alliance ministers would have to fund it out of their own departmental budgets. Opposition politicians also roundly criticised the plans. Fianna Fail social protection spokesman Willie O'Dea said the idea was "not very well thought out". "There are a lot grandparents providing childminding services free but some of them are very wealthy and the last thing they need is a payment from the State," he said. Fianna Fail senator Lorraine Clifford-Lee said the payment was a "pathetic attempt" by the Alliance to resolve the childcare crisis. "An annual payment of €1,000 will give the princely sum of €19.20 per week to grandparents - hardly an appropriate recognition of the sacrifice and dedication involved in caring for children," she said. Independent Alliance Minister John Halligan weighed in behind Mr Ross, saying: "We should recognise the social and economic contribution made by older people in our communities." It has also emerged that only one in five grandparents will be eligible to apply for the controversial childminding grant, according to internal Independent Alliance analysis. A pre-Budget submission compiled by Mr Ross estimated that there are around 330,000 grandparents in the country. However, the two-page document stated some 70,000 would be eligible for the €1,000 grant.